Right before Christmas I rode my piki for the first time here in Kamachumu. Although I completed my course in Dar successfully, I didn’t ever receive my certificate, so I had been unable to get a license. Similar to the way that even though I completed my course in Canada before I left, I didn’t have time to get my full Class 6 (motorcycle endorsement), because there’s a one-month waiting period after the course. Oh, guess what? The learner’s license expires after a year. I will have to retest when I get home, and no. There is nothing Access Nova Scotia can do about it. The least accessible service portal, ever. 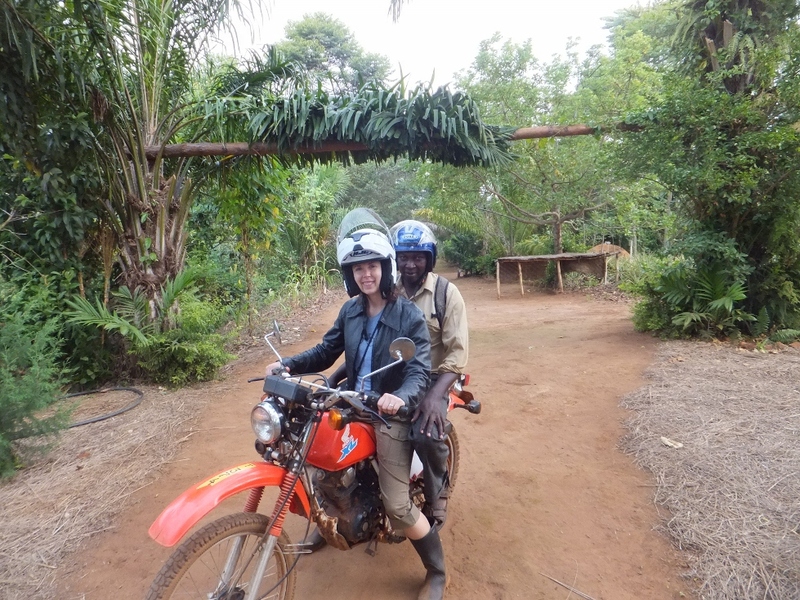 I am reminded of a friend who told me about his first experience on a motorbike: they put him on it, on a big hill, and he promptly ran into a banana tree. Here in Kagera Region there are plenty of hills, really steep ones. These little pikis, never more than 125cc, sound like they’re going to explode, but it’s made up for on the downhill side; the drivers usually turn off the engines to conserve fuel. Unfortunately it also makes it hard to hear them coming…. I’m still trying getting the hang of shifting down early enough to handle the hills. Considering it was only a few years ago I learned to drive a standard, I think I’m doing well. Seems like not so long ago I was sitting in Amy’s car, in Truro, stalling. Through three, yes, three green lights. On a down-hill. My piki driving is made more difficult by the fact that I always have someone on the back, usually a fairly heavy man. I’m thankful when Steven shows up, as he’s the smallest of the three. They are all surprisingly calm to have a mzungu girl driving them around. They probably don’t realize just how different driving here is. Pavement is a novelty. They drive on the left – except when there are potholes or a drop-off on that side. Villages are mazes of tiny tracks, more suited to goats than pikis. Half-naked children leap out, yelling mzunGU! The other day one of the town’s “crazy ladies” got in front of the piki and held on to the front tire until someone chased her away with a stick. Only a threat, don’t worry! No harm done. I am becoming acquainted with not only the local crazies, but everyone else as well. People are beginning to recognize me not only as “mzungu” but as Margaret, which is gratifying. 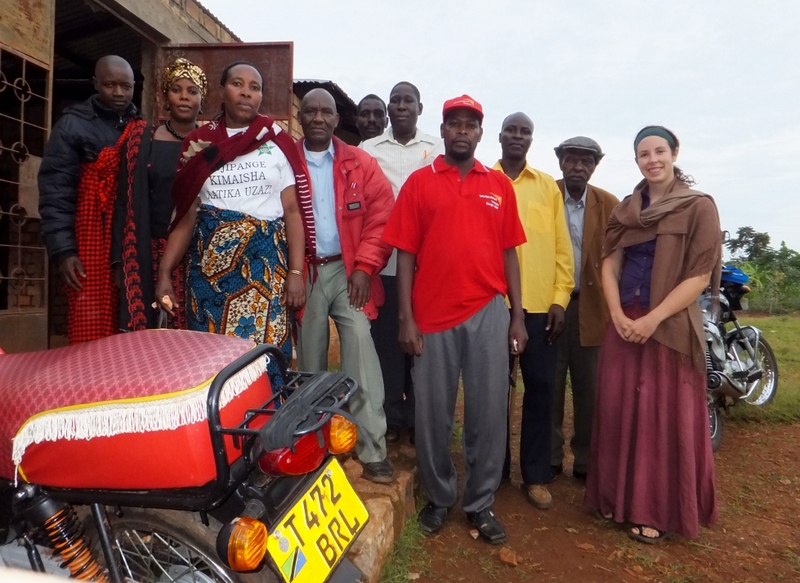 Last week I was returning from a visit to Marc and Djoke in Ndolage. I approached the bodaboda stand (bodaboda is the term for a motorbike taxi) asking for a ride to Kamachumu and the boys said, “lakini unaweza kuendesha vizuri kabisa pikipiki!” (rough translation: you can totally ride a piki well!). 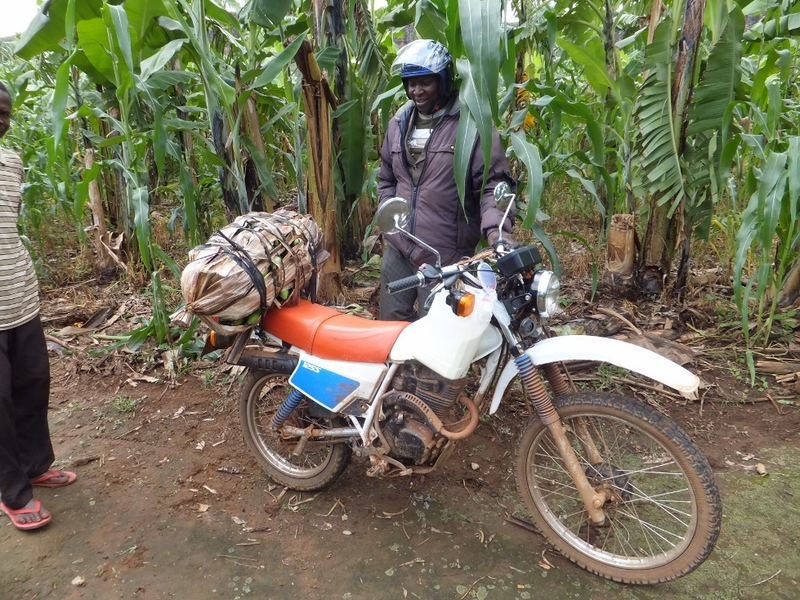 Bodaboda boys are king on the Ndolage-Kamachumu road. If they say I’m a good piki driver, it’s the truth. My first day, I stalled coming up the big hill by my house. I almost got frustrated until I turned and saw two little kids on an oversized bicycle coming over the bridge behind us. Their eyes were popping out of their heads at the sight of me. The little boy steering didn’t blink and didn’t take his eyes off the mzungu girl trying (with minimal success) to drive a piki. They went straight into the ditch. Again, no harm done. It was hilarious*. *Cultural context: it is completely normal here to laugh at people’s misfortunes, or because they look funny, or different. The sight of me out running induces hysterics in groups of children every single day. But that’s a story for next time! Cuso International Shows Up In Dar! Loved reading about your adventures!